A beautiful celebration of the 1960's teak bar stool designs. The Baron Mid Century Modern Teak Bar .. This Catherine Counter Stool features soft Velvet upholstery and is designed for comfort.Each piece ..
Versatile, contemporary counter stool inspired by the original Eames design with a durable polypropy..
Versatile, contemporary bar stool inspired by the original Eames design with a durable polypropylene.. This replica Cherner Bar Stool is a tribute to the original, harnessing the power of minimalist desi.. This replica Cherner Counter Stool is a tribute to the original, harnessing the power of minimalist .. This new release Eames-inspired counter stool features chrome steel legs that add an industrial look.. 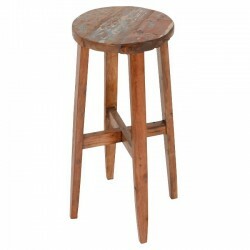 Combining the rustic charm of natural wood with industrial iron, this Rustic Iron & Reclaimed Pi..